Holiday… school holiday is on the head guys… time to do all the “FUN” things we love, without worrying about the school tasks… so what are you going to do this time? 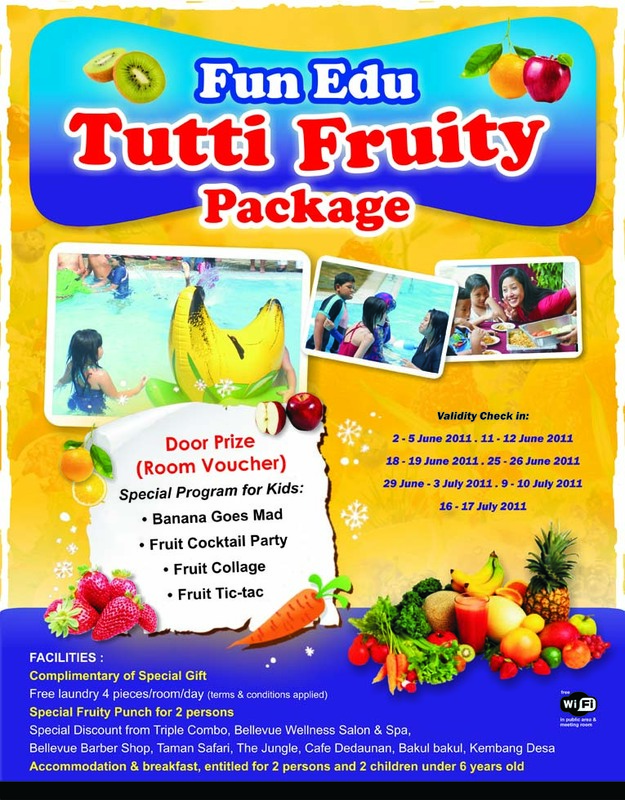 Having a party… that’s a god idea… FUN EDU Tutti Fruity Package, a special room package that has a kids’ party program everyday, which is well prepared to make the whole family have fun during the holiday. 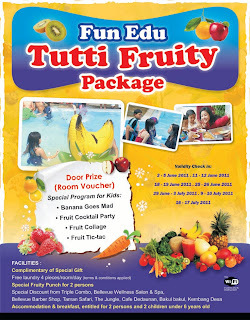 There are 4 different types of party will be held during the package period, every weekend starting from June 3rd to July 17th.